Harvard Law School researcher Susan Eaton has been chosen as the next director of the Sillerman Center for the Advancement of Philanthropy. Eaton, who is currently the research director for the Charles Hamilton Houston Institute for Race and Justice, comes to the Heller School with a clear goal in mind. “My aspiration is for the Sillerman Center to be a bridge between the research centers and faculty members at Heller, as well as a bridge between Brandeis and members of the philanthropic community who are seeking guidance and knowledge to inform their grant making,” Eaton said. Since its founding in 2008, the Sillerman Center has conducted, analyzed and disseminated research and best practices on what makes philanthropic giving effective in promoting social change and equity. In her new role, Eaton will provide the strategic direction needed to raise the Sillerman Center’s national impact and profile while working with foundations and individuals to maximize the impact of their donations to social justice organizations. Heller’s Interim Dean, Marty Krauss, PhD’81, said Eaton stood out during the search for a new Sillerman director because of her “vision, experience and commitment to the unique mission of this innovative center. I am confident that she will be an incredibly talented and energetic leader at the Heller School and will be a force for change. She is just the kind of leader that Heller seeks in new appointments." While at Harvard Law School, Eaton’s research interests have focused on the causes and cures for unequal opportunities for racial, ethnic and linguistic minorities in the United States. She is particularly concerned about the challenges of schooling and parenting in high-poverty, urban neighborhoods, which was the subject of her most recent book, The Children in Room E4: American Education on Trial, that interweaves the stories of a landmark contemporary civil rights case and a Hartford, Connecticut classroom. Eaton teaches a course on the implications of demographic change on public schools at Harvard’s Graduate School of Education, where she is a faculty member. She is also the co-director of One Nation Indivisible, a storytelling website supported by major philanthropies including the W.K. Kellogg Foundation and the Ford Foundation, that explores alternatives to segregation and marginalization within schools, neighborhoods, social institutions and immigration policies and programming. Throughout her career, Eaton has worked directly with foundations to help them with strategic planning, specifically around immigration and education issues. Eaton will start as Sillerman Center director in September. "I greatly admire the research being conducted at Heller that addresses some of the most important social challenges of our time,” she said. 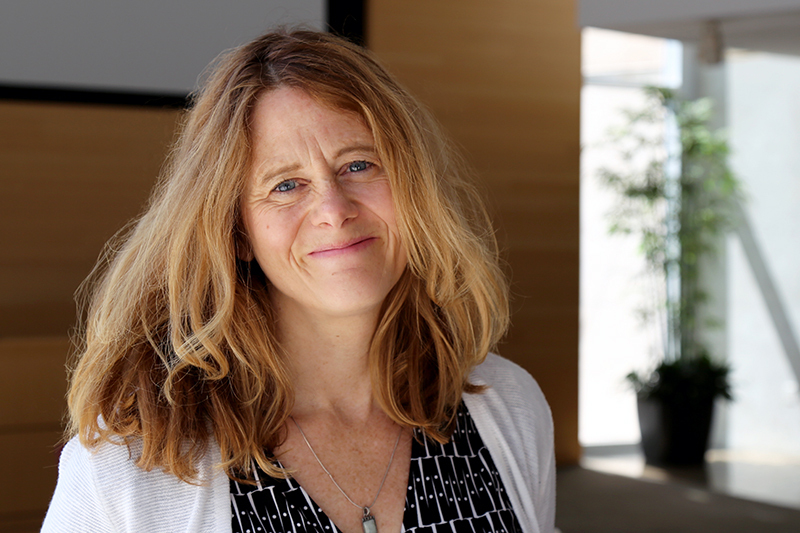 “I look forward to working with students, faculty and staff as we think about how to bring this vital knowledge and on-the-ground experience to bear on social justice philanthropy."